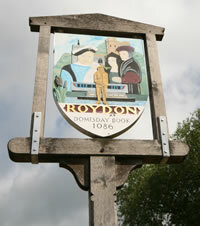 Roydon is a pretty village which offers many local amenities including Italian and Pizza restaurants, three pubs, a local shop, chemist and a church - all within walking distance. Our local pubs all serve good reasonably priced evening meals. Situated on the River Stort, we afford some very pretty countryside and riverside walks. Olympic lagacy is all around us. The Queen Elizabeth Park at Stratford is only a 30 minute train journey away, as is the amazing Westfield Shopping Centre. The Lee Valley White Water Centre is even closer. Rye House Wildlife Reserve is a ten minute drive from Riverside. Riverside has off-road parking, a local taxi service for airport runs. Journeys/transport elsewhere, can be arranged by request. You will be only a 1 minute walk from Roydon station, offering a direct line to Liverpool Street, Harlow and Cambridge. 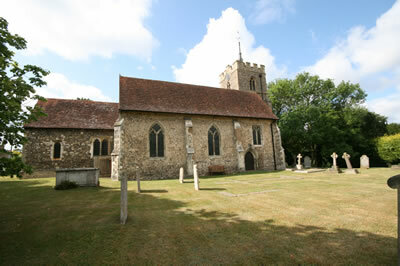 Stansted Airport is approximately a 40 minute drive and can be reached by train with one change at Bishops Stortford. We are a 10 minute drive from Harlow and a 15 minute drive from the M11 junction 7.